All Your Rooting Supplies for Reborn Doll making. Beautiful Sophia Mohair, both straight and curly styles, Rooting Tools, Our Popular Rooting Pillow, Johnson's Hair Conditioner, Instructional DVD's, Glues for Rooting, Hair Brushes, and Cutting and Styling Scissors, Magnifiers, A Rooting Package, and Lots of different sizes and styles of Rooting Needles, Felting, Notch, Crown, Barbed, etc. The Perfect Package to begin Rooting. with 200 pages of Instructions & Photos. Lara Antonucci once again delivers a wonderful instructional micro-rooting DVD. Aleene's is a top name in Tacky Glue. THIS IS AN ALL PURPOSE WHITE TACKY GLUE. 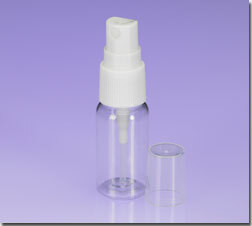 Great for Rooting or Gluing Wigs, Eyelashes. Great for small jobs, like lashes and eyes. E-6000 is one of the recommended glues used by professional reborners. Stronger for keeping the rooted hair from falling or pulling out. Loctite Instant Super Glue-10 Grams. For eyelashes that virtually never come off. Baby Brush & Comb Set for your sweet little reborn baby. White with Picture (Pictures Vary). loose or poorly rooted hair strands in the dolls head. The bristles are soft enough to not remove well rooted hair. Professional very soft Baby Brush. These brushes are low static because of their softness. Just the right size for final styling. This will hold baby's head securely as you root. Handmade Pillows by my daughter "Missie". Proceeds go to her ongoing Cancer Expenses. Large hands free magnifier - 2X power. 4X Spot Lens. 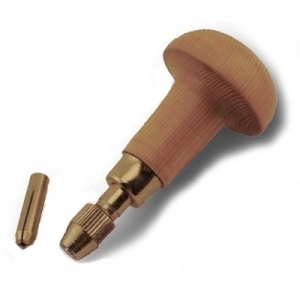 Great for Reborners for close detail work. 2 Sizes - 1/4 oz. or 1/2 oz. 10 Needles @ .99 cents each. 25 Needles @ .89 cents each. 50 Needles @ .79 cents each. High Quality Package of 3 Needles - $3.57 - ($1.19 each) . Use this to thin and ad texture to the baby's hair. This comb has a precision razor built right into the comb teeth. 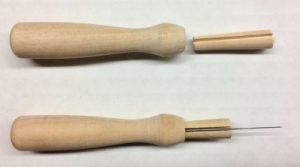 German Wooden Rooting Needle Holder. Holder pulls apart to lock needle into place. Mushroom design fits comfortably in the palm of your hand, allowing you to apply the proper pressure for more accurate work. This pen will save you time, needles and headaches! Uses uncut needles, EVEN forked needles. to greatly improve your rooting and save time. Use Double Sided thinning scissors when you want delicate and light thinning. Shape the baby's hair style and give it body. 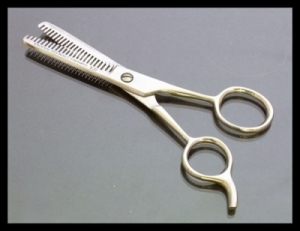 Double sided thinning shears have teeth on both side. 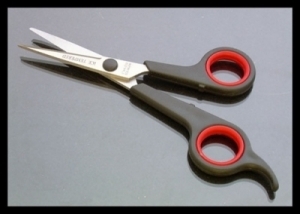 Use single sided thinning scissors to thin out a thick area quickly and evenly. making uncooperative mohair lay down better and stay in place. Great for fine work, like lashes. These scissors have very sharp tip. The fine, curved points allow access to tight areas. to cut thread, ribbon etc. Includes a Pink Leather Case. The fine, to access to tight areas. 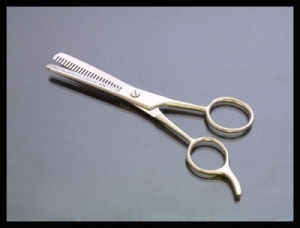 A really good pair of barber scissors that are wonderful. made of nice stainless steel, with beveled blades. with the Pocket Baby Hair mister. Fill it with baby hair conditioner, water or even hair spray.